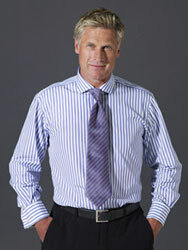 The puppy tooth check is a timeless classic and one we simply adore here at W H Taylor Shirtmakers. We’re delighted to have this design in one of our most popular colours – Navy, a firm favourite for its versatility with suits, jeans and casual wear. Made from a medium fabric that’s ideal for those cooler months of the year. 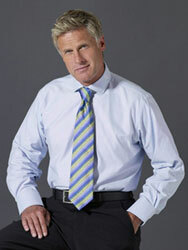 Our shirts are made bespoke and hand-tailored to your specifications, whatever they might be. Whether it’s a different collar type, cuff style or sleeve length we’ve got you covered with our wide range of customisations that are available, simply by selecting your choices using the menus above.